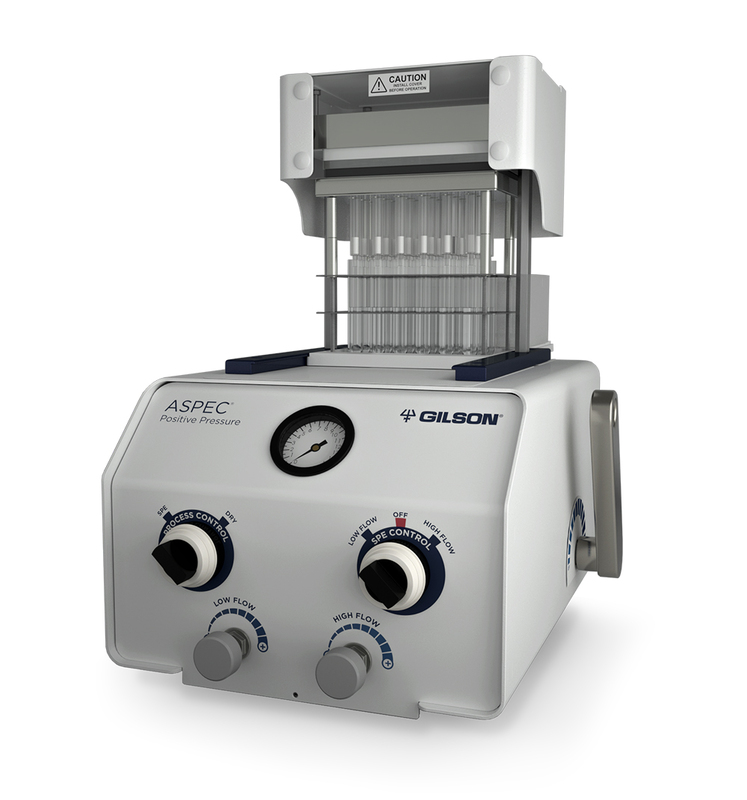 This ASPEC® system for positive pressure solid phase extraction (SPE) maximizes throughput by processing up to four samples in parallel. With its small footprint and multiple probes, it is the ideal choice for high-throughput SPE automation on 1, 3, or 6 mL cartridges. Combined with ASPEC SPE Cartridges, it generates reproducible and efficient sample cleanup for clinical, forensic, doping, food, and environmental testing labs. 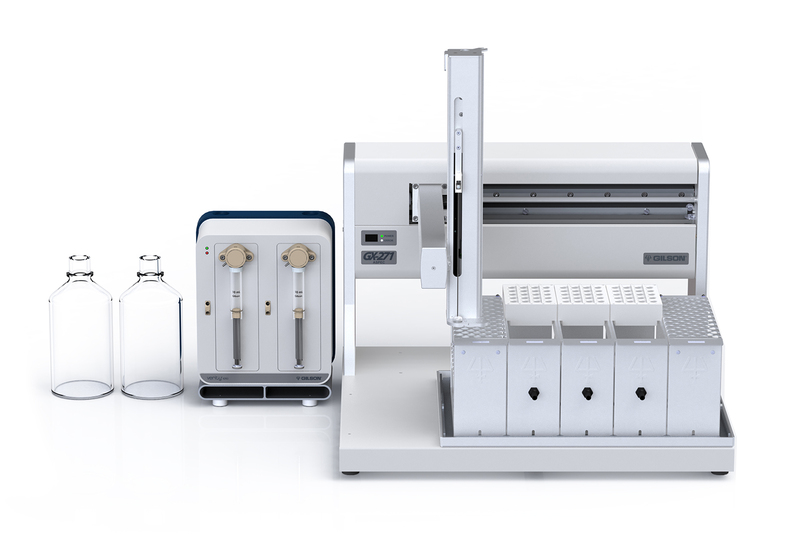 Four-probe Z-arm enables processing of four samples in parallel, increasing throughput and efficiency. 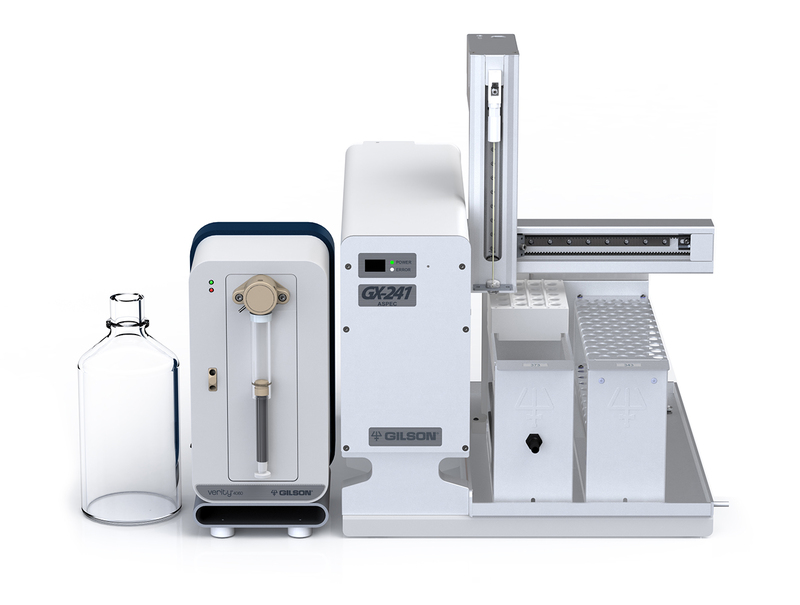 Positive pressure extraction with unique sealing cap design increases reproducibility from sample to sample. The syringe pump delivers accurate volume dispensing. 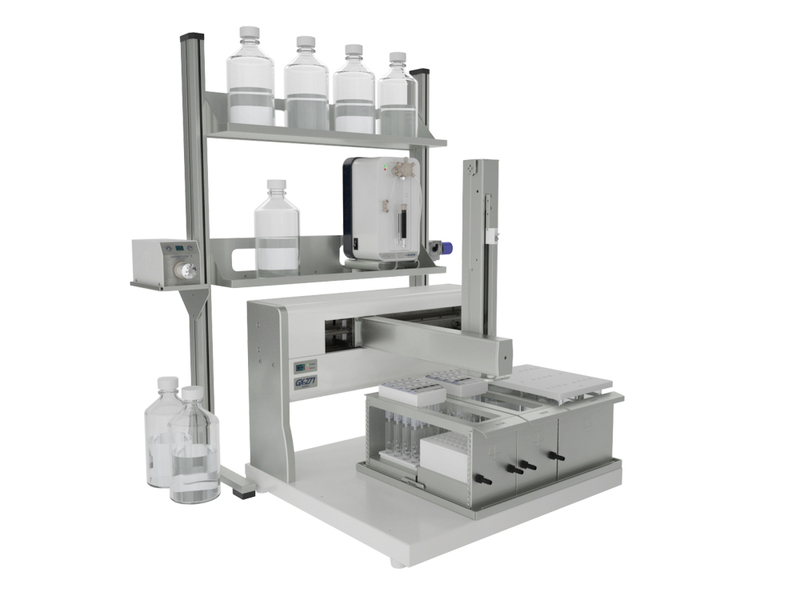 Mobile rack technology enables multiple fraction elution and extraction per sample and additional sample transfer after SPE. The syringe pump pressure-sensing module provides error handling for high cartridge pressure or clogged liquid lines and monitors pressure on each fluid path individually. Innovative jet wash rinse stations minimize carryover and cross contamination. 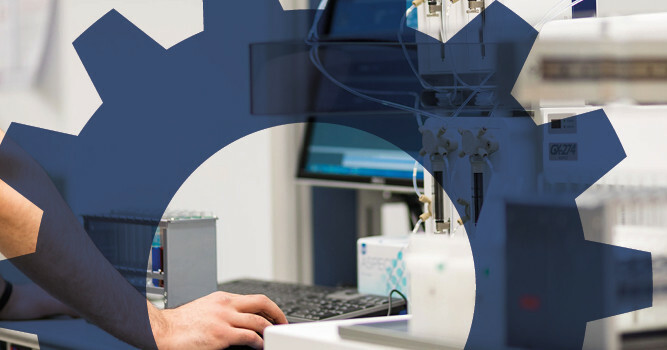 TRILUTION® Software allows for multiple liquid handling applications such as liquid-liquid extraction (LLE) and SPE on the same ASPEC system. 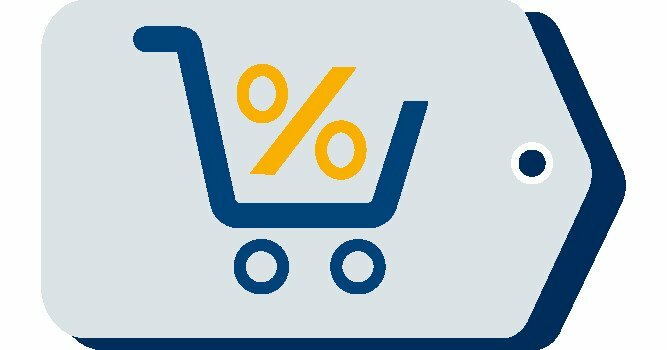 Optimize throughput and efficiency by processing samples in either batch or sequential mode. 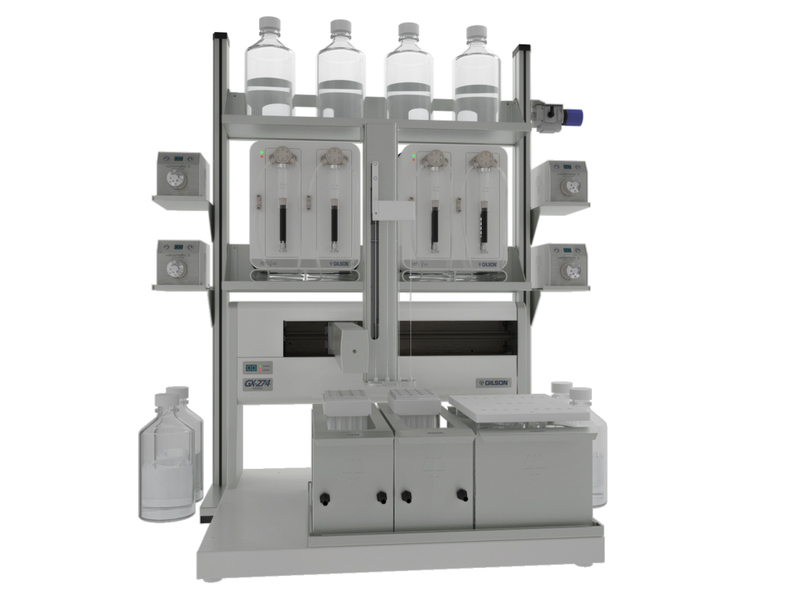 Perform multiple elution and parallel solvent testing to quickly automate and optimize method development.